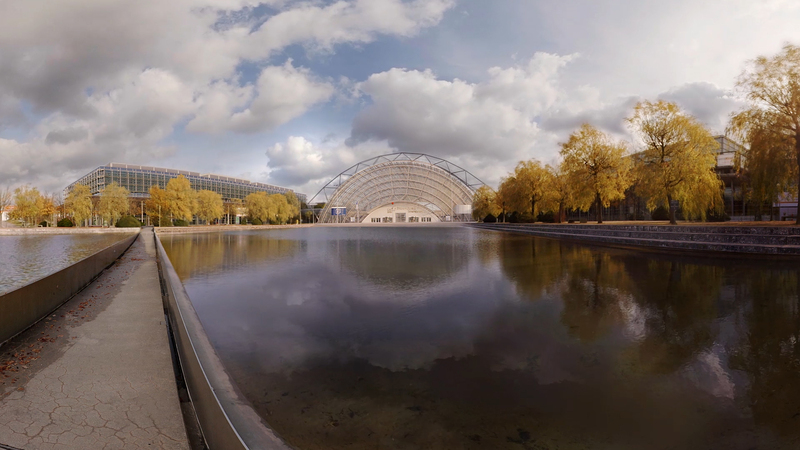 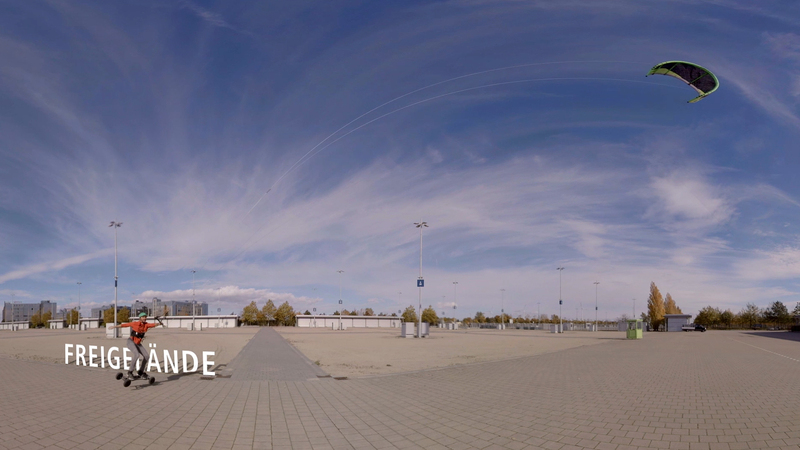 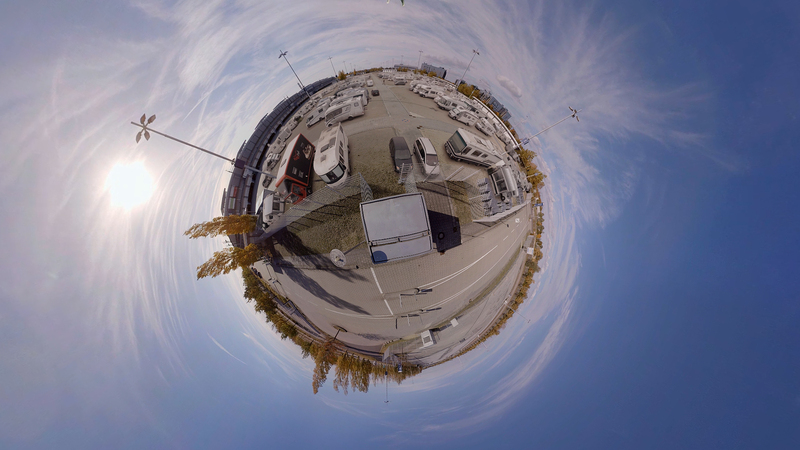 We implemented 360 degree videos so that organisers can view the locations of the Leipzig trade fair using VR goggles. 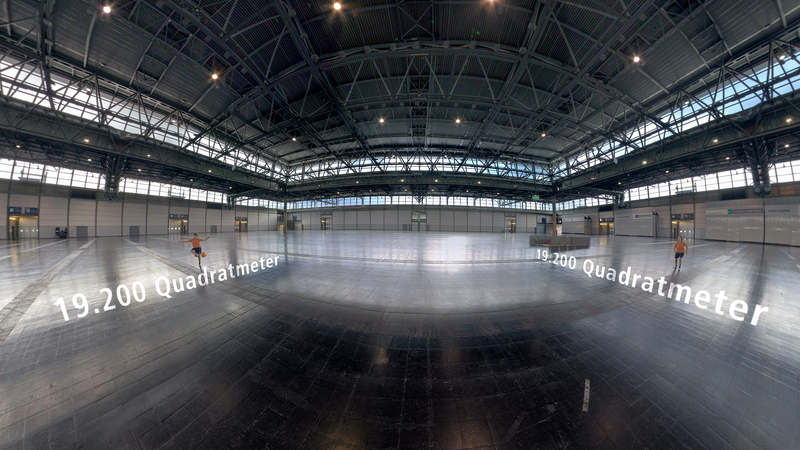 The dimensions and functionality of the locations viewed can be visually experienced in instantaneous and immersive manner. 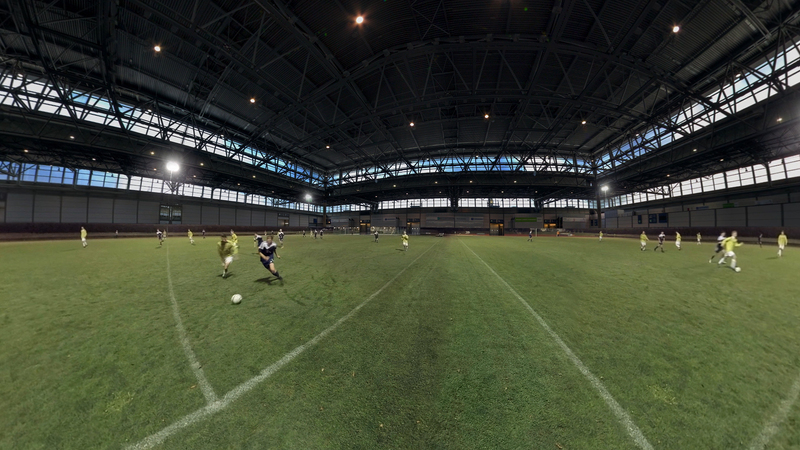 At each location we staged suitable players – for example, a cyclist, a wind skater, a football player – whose actions consciously guide the view of the observer through the room in the 360 degree scenarios and thus, develop their dimensions. 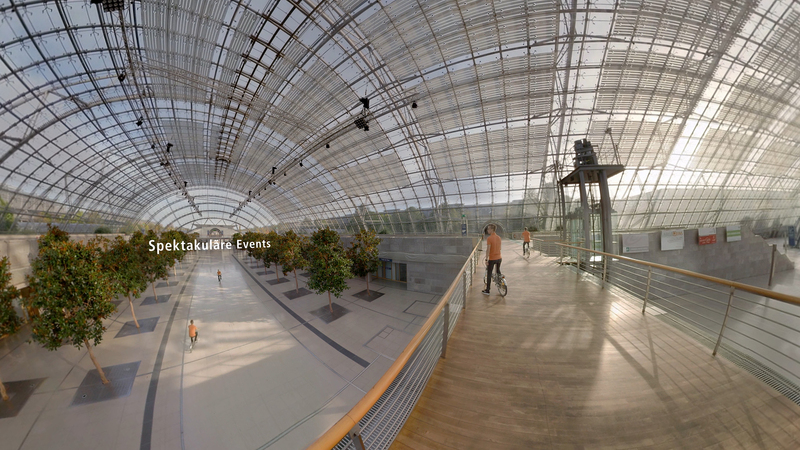 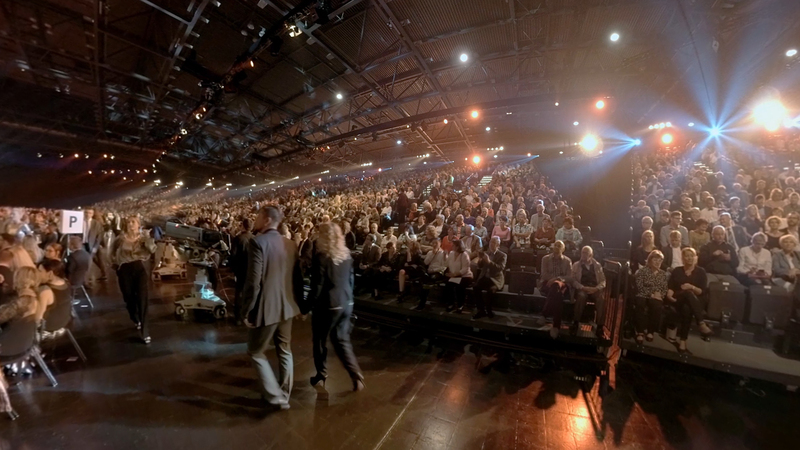 The variability of the gallery systems is displayed in 360 degree time-lapse recordings: the empty hall is transformed into the completed gallery structure of the event. 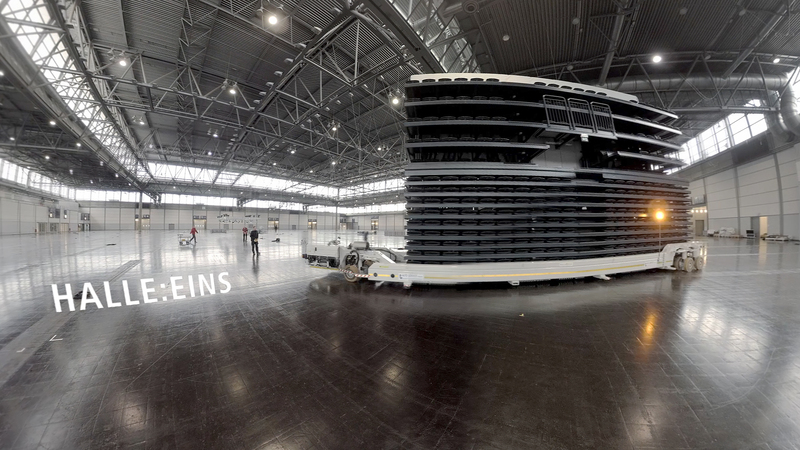 In order to show the impressive size of HALLE:EINS (Hall 1), in digital post-production we mounted two football fields in the room in such a skilful manner that it would feel as if you were actually in the hall. 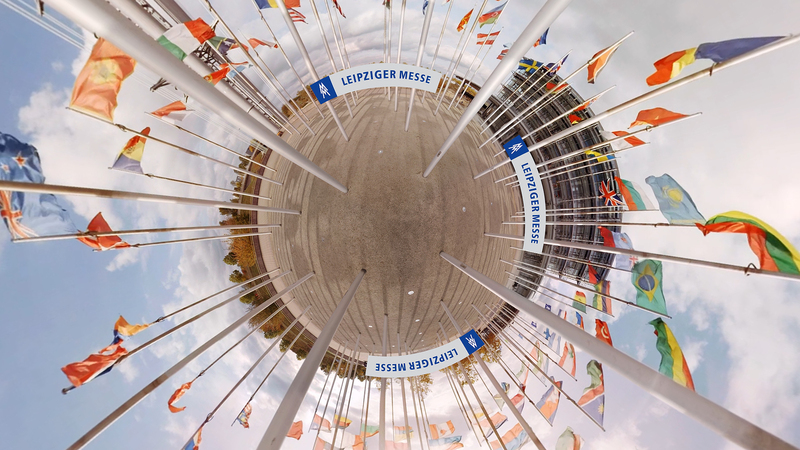 Please use Firefox or Chrome to experience the 360 degree effect.